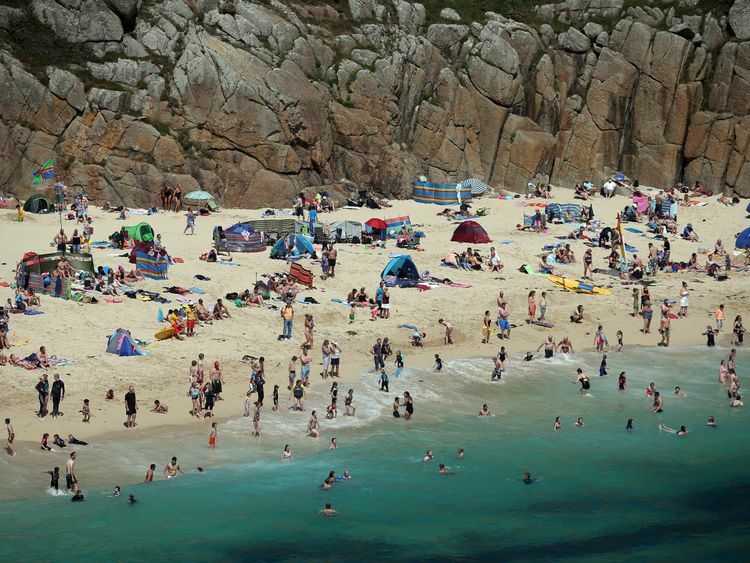 Cornish business leaders have criticised the county's tourist board for telling visitors to "stay away" due to the sheer number of people holidaying in the county this summer. Kim Conchie, chief executive of Cornwall chamber of commerce, described the message as "unhelpful" and badly presented. She said: "Stay away was the wrong starting point. It was unhelpful. There are other ways of presenting the idea that were more helpful to business. "Mr Conchie suggested the board should have instead urged visitors to spread out and enjoy more of the county which has been experiencing record tourist numbers thanks to the summer heatwave. "At the moment it's very busy and we want people enjoying every beach, every cove, every moor, every corner we have to offer. We should be encouraging people to discover new spots. 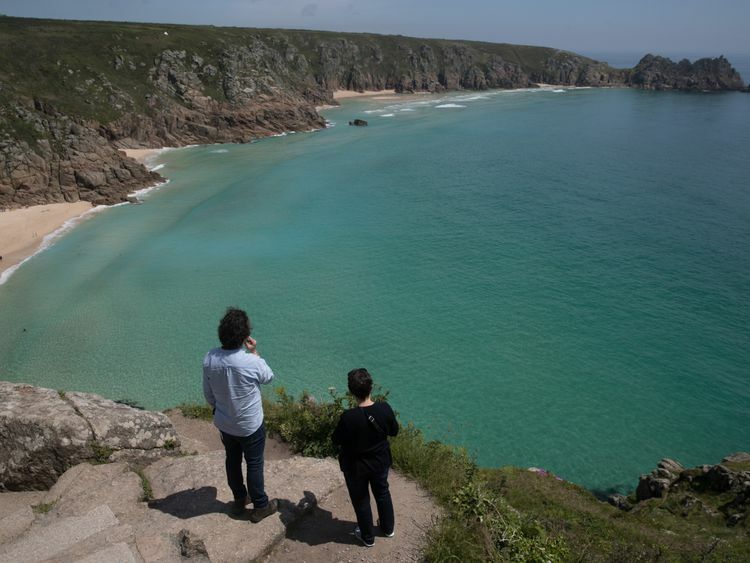 "Visit Cornwall, the county's tourist board, stopped promoting beaches featured in the TV show Poldark, on Sunday.Chief executive Malcolm Bell said a surge in visitors was causing "gridlock" near the beaches at Kynance Cove and Porthcurno. "On particular peak days and especially at weekends, we have suffered from gridlock in these places," he said. "These particular beaches are down quite windy roads so it's not always that easy to just quickly drive on because you have got to turn round," he added. Mr Bell had also asked tourists to consider visiting less popular spots, but Mr Conchie said that part of the message had become lost and said "the headline could have been better, more positive".Tourism is worth between €1.7bn and €2bn a year to Cornwall, around 20% of the county's annual GDP, Mr Conchie said, while an estimated 53,000 people are employed by the industry. "Increasing it or reducing it by 5% makes a big difference to the local economy," he added. "At the moment, we're flat out," he added. 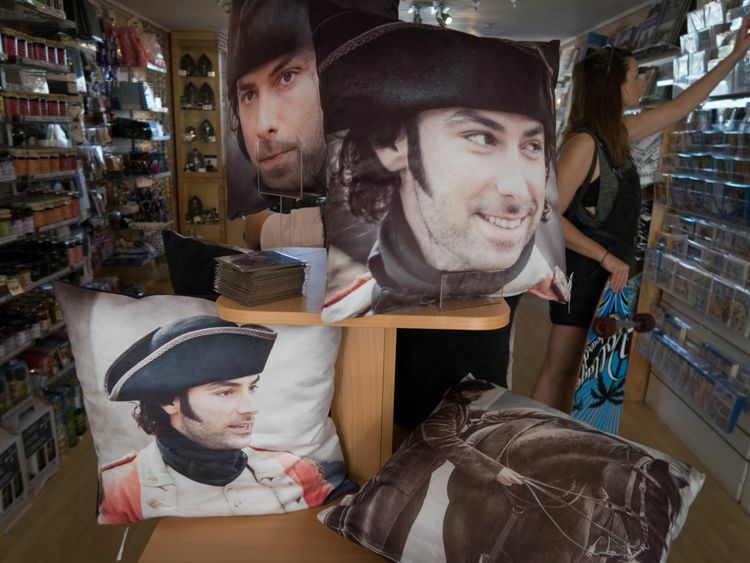 Mr Bell insisted Cornwall still wanted to welcome tourists to the area and he was grateful for the popularity generated by the BBC One show, which he said had caused a 10% increase in visitors. "Dear Mr Aidan Turner and his wonderful chest and thighs walking down the water is better advertising than we could ever hope to get," he said. "There are actually lots of other beaches he is filmed on and we can point people to, because we have 400 miles of coastline and a beach for every mile."